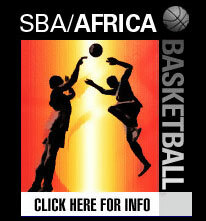 WASHINGTON, DC, March 24 -- The SBA International Street Basketball Federation and Malea Sports and Entertainment have agreed on the purchase of an SBA Operating License for Central Africa. This will not be a traditional licensing agreement as the SBA will provide an integrated marketing strategy as well as countless benefits to Malea under the terms of the agreement. Financial Terms of the agreement have not been disclosed which is the SBA’s standard policy. This agreement allows Malea the exclusive right to execute basketball and basketball related activities under the SBA ISBF brand in Central Africa which includes Cameroon, Central African Republic, Chad, The Democratic Republic of Congo, Equatorial Guinea, and Gabon. With this license Malea will have access to all SBA street basketball stars and former NBA players that are now signed to the SBA for events and appearances in its operating territory. The expectation is that Malea and the SBA will work together to develop a strong brand in a region of the world with a potentially large fan base. The SBA has spearheaded the growth and development of grassroots basketball in the United States and globally throughout the world. It has developed opportunities for basketball enthusiasts to take part in the explosive demand for street basketball by creating a number of SBA Street Ball Properties throughout the world. 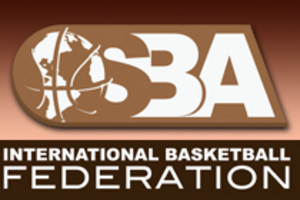 In an effort to organize the street basketball industry the SBA has expanded its operations with the development of the SBA ISBF in October of 2009. The newly created sanctioning body consists of member organizations representing Puerto Rico, Ecuador, Sudan, Sweden and Scandinavia, Turkey and the Baltic Region. The SBA is currently negotiating with several groups for additional SBA ISBF operating licenses in Africa, Europe and South America. “While we want to continue to lay our footprints in Africa, Europe and South America, we are extremely interested in finding capable partners in the Asian market with Japan and China being the primary areas of interest,” says John Hinkson, architect of the Malea license agreement. CBS Sports contracted the SBA to choreograph and perform a free-style dribbling and slam dunking routine for a promotional basketball music video featuring the SBA All-Stars, Diddy, and his new group Diddy-Dirty Money. The spot will premiere as the teaser prior to NCAA Tournament Championship Game and will re-air before the start of the second half of the final game of March Madness on CBS, April 5th at 9:00pm. The SBA has been the leader in the street basketball industry for more than a decade and continues to pave the way. Its brand of basketball is a one-of-a-kind interactive entertainment attraction and marketing vehicle. SBA All-Stars have been featured on ESPN Street Ball, ESPN City Slam, NBA TV, MTV, EBC Rucker Park, Hoops TV, Nike BattleGrounds, AND 1 Tour, Slam, and Dime Magazine as well as played in the Chinese Professional League and the Euro League. For more information or to schedule an interview please contact Matt Rosner at (202) 409-6206 or via email at: mrosner@streetbasketballassociation.net.